In September 1998, a completely unknown band from London performed in the corner of a cafe in Manchester to an audience of fewer than ten people. One of these people was Debs Wild, a record company talent scout who immediately knew she'd seen the future. 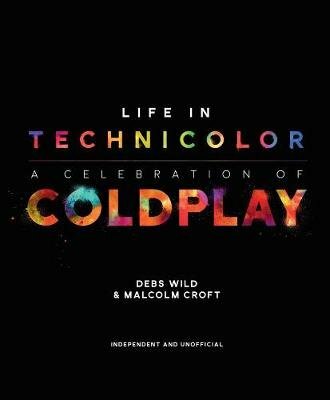 To celebrate the band's twentieth anniversary, Debs Wild - the discoverer of Coldplay - and Malcolm Croft look back on the band's phenomenal rise to glory. Life In Technicolor: A Celebration of Coldplay charts the band's extraordinary history from the very first rehearsal right through to the conclusion of their record-breaking A Head Full of Dreams Tour. With a unique insider's perspective and never-before-seen photos, this book will delight Coldplay's legions of fans across the globe.